Join Northwest Children's Outreach (NCO) in an effort to help Portland-area families provide for their children. NCO accepts donated toys, clothing, books, baby gear, hygiene items and more. Volunteers like you process these donated items to be distributed to families in need. Depending on the shift, we may be sorting recently donated items or fulfilling orders and packaging items for families. 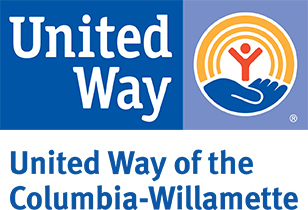 NCO works with agencies that directly serve low-income families and foster children in Oregon. The items donated, sorted and packaged by you and other volunteers make a big difference for local families - and it's a lot of fun! The Portland NCO Center is located at 335 NE 18th Ave in Portland. Note: this project takes place in a warehouse setting; please wear comfortable shoes and clothing. Water will be provided. Please do not park in the alley spaces adjacent to the building. Those spaces are reserved for others. Please park along one of the streets close to Portland NCO Center instead. In case of inclement weather: NCO follows the policy of the local school district and is closed when the schools are closed. To learn more about Northwest Children's Outreach, visit: http://northwestchildrensoutreach.org/. Volunteers must be 4 years of age or older to attend this project; any volunteer under age 14 must attend with a parent or adult chaperone. All volunteers under age 18 are required to bring a Youth Volunteer Release Form signed by their parent or legal guardian. Please download, complete, and bring this waiver with you on the day of the project.